Order our new Sphere8 Residential Brochure now! Blog › Order our new Sphere8 Residential Brochure now! The rebranding continues and we’re making steady progress! It’s been such an enjoyable opportunity to look at everything we offer our clients and how to make it better. The literature we send out to prospective customers is the perfect example of this – so the chance to redraft everything from the content to the way it’s presented was a very exciting venture… Order one online now to see what the final product was! Our previous brochure was a stylish A4 leaflet designed to introduce you to the brand. As Sphere8 we wanted to make our brochure much more informative – not just a few carefully selected images. We wanted our residential clients, whether they are homeowners or architects and builders on behalf of someone, to be able to gain genuine understanding of what we offer and how we offer it! The new brochure carefully explains the various options for your Sphere8 floor – whether it’s a Solid colour, a Motion blend of pigments or an entirely Bespoke pattern or design! With inspirational images throughout, we want our clients to know that anything is possible! Once you’re inspired by the possibilities, we aim to explain all technical information and the characteristics of a Sphere8 floor. 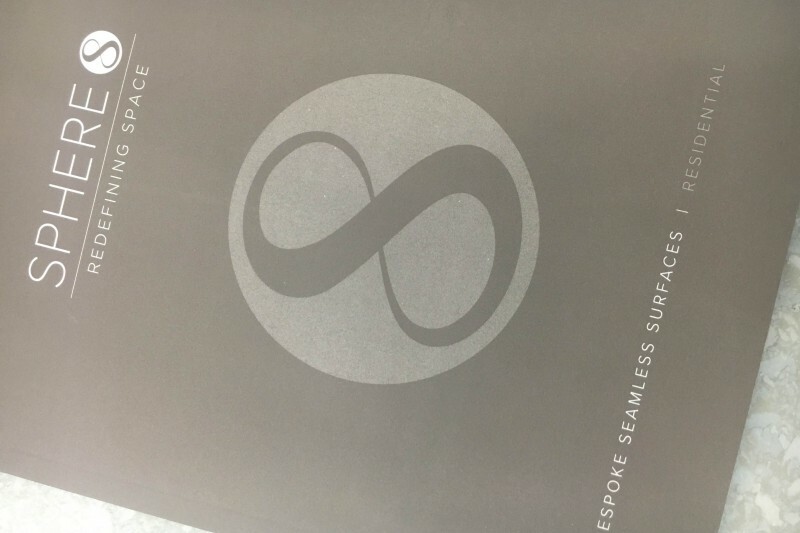 Rather than explaining all of the various systems we offer, you can instead request a HomeSphere, LuxSphere or Wall Finish data sheet, which fits neatly into the pocket at the back of the brochure.